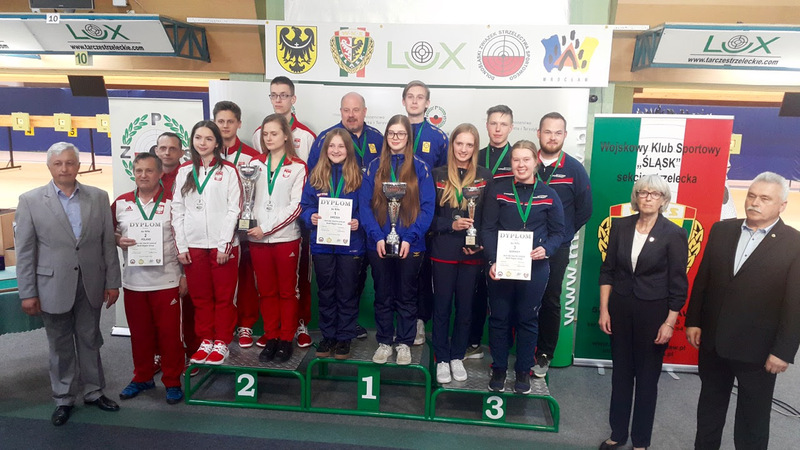 According to SIUS web information, 16 teams from the North Region entered for the 10th edition of SIUS European Youth League – EYL for young Air Rifle and Air Pistol athletes 14-18 years of age. In 2018, 10 teams became eligible to take part in the Qualification in Poland, where they could compete for places in the European Final to be staged later this year in Finland. For the Qualification event, 39 young athletes from 8 nations travelled to Wroclaw in Poland to compete in 4 matches each during 12-15 April 2018. The Swedish Rifle team as in 2017, again performed exceptionally well and won all the 4 matches. The team from Poland having won 2 matches also qualified. The team from Norway also won 2 matches and qualifies. Both Poland and Latvia won 3 matches each in the Pistol competition and qualified for the Final.